Enjoy exceptional navigation and control in the palm of your hand. 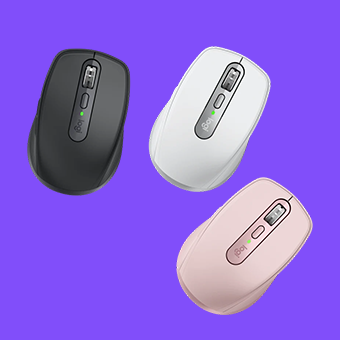 From high-performance wireless mice with advanced features to budget-friendly corded models, Logitech mice are precise, durable, and simple to set up and use. Logitech tablet accessories provide flexibility to get work done anytime, anywhere. Selected by Apple® as an exclusive partner for iPad® keyboards, Logitech iPad accessories leverage the latest technology, including Apple Smart Connector on iPad Pro®keyboards, so your iPad is equipped with enhanced functionality for wherever your business takes you.